HMD Global today announced a new mid-flagship smartphone in Taiwan, the Nokia X71. It was the firm's first to use a punch-hole (in-screen) camera. This lets the phone achieve a 93% screen-to-body ratio, the highest we've witnessed so far when compared with all their previous release. Furthermore, the Nokia X71 sports triple rear camera with ZEISS optics at the back - the main camera uses a 48MP sensor, the 5MP secondary camera is for capturing the depth of field, while the tertiary camera uses an 8MP ultra-wide lens. Below the camera is a fingerprint sensor for security. The phone is powered by a Snapdragon 660 chipset, coupled with 6GB of RAM and 128GB of expandable storage. It runs Android One software based on Android 9.0 Pie and supports dual SIM slot with dual standby. It has a glass back with metal frame, and is backed by a 3,500mAh battery with supports for fast charging. 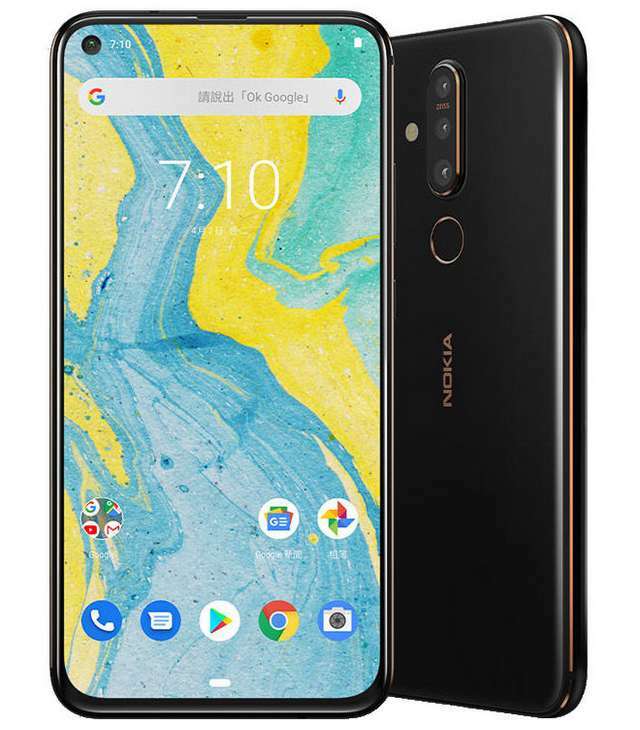 Offered in Black color only, the Nokia X71 will start selling in Taiwan from April 30th at a price of TWD 11,990 (US$384).